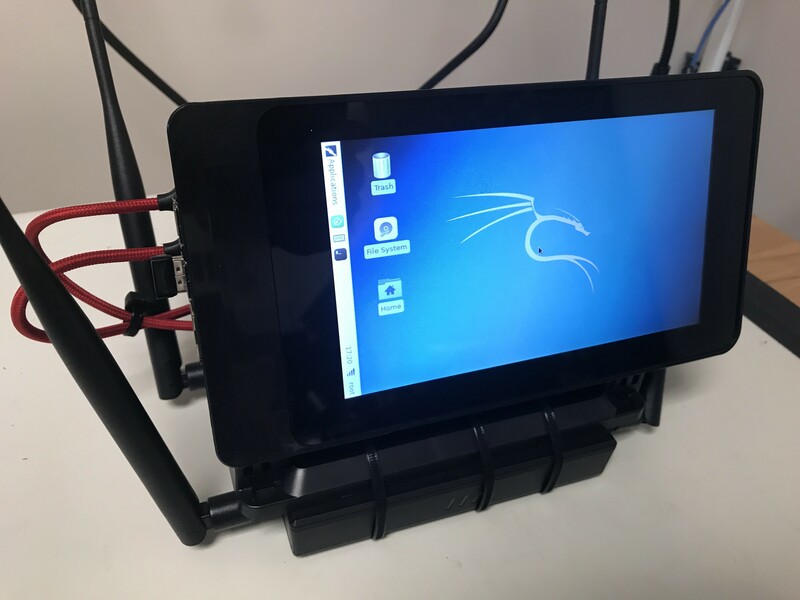 Portable Hacking Unit: Raspberry Pi 3 running Kali Linux with 7" Touch screen and Hak5 Wifi Pineapple. Too many times I have found that using my Wifi Pineapple has been cumbersome with a full size laptop. Although having access to Linux based tools is useful, the size just ultimately became a problem. I started looking at tablet options, and then it occurred to me, couldn’t I just use a Raspberry Pi to accomplish this task? Well, after researching options, I found a solution that not only provides a small footprint and portability, it also give me access to almost every tool I need. 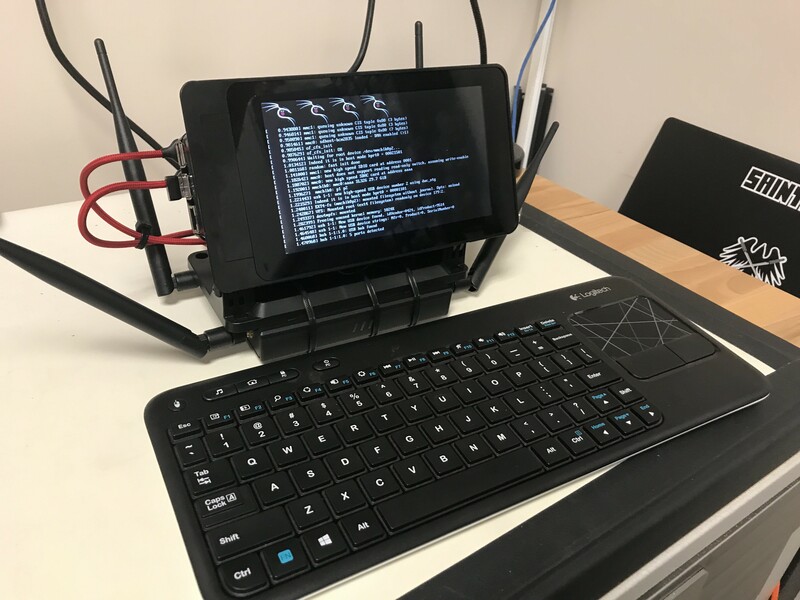 Introducing the Pineapple Pi running Kali Linux. 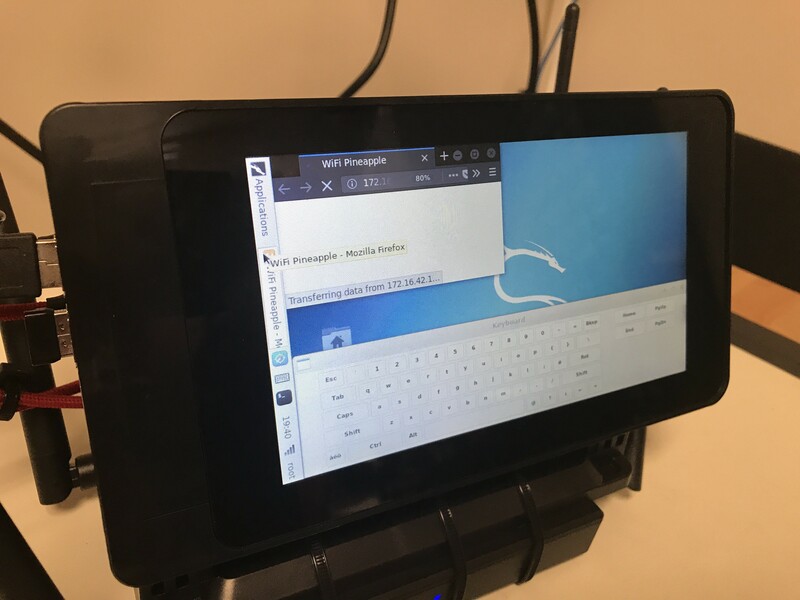 Since the WiFi Pineapple has a mostly GUI interface, that actually works well with a touch screen, this setup is the perfect option for using the Pineapple with a permanently attached computer. It's easy to carry around, and still small enough to stash somewhere to use for a audit. The 20100mAh Battery allows it to run without being plugged in for hours. In addition to performing wireless audits, I also have the full capabilities of Kali Linux on a Raspberry Pi 3 at my disposal. The on-screen keyboard, works for simple typing, but a small logitech wireless keyboard makes it so much easier. 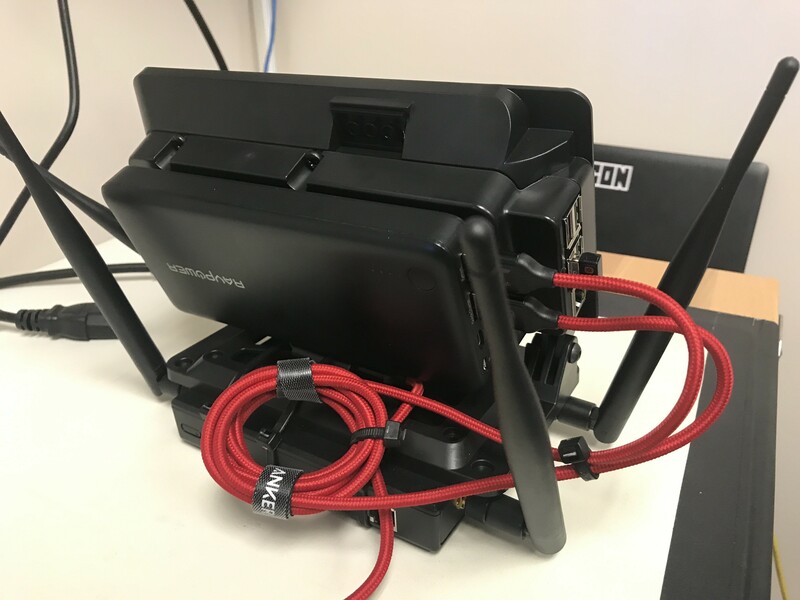 Overall, I’m very happy with the results and loving my new portable wireless audit machine. 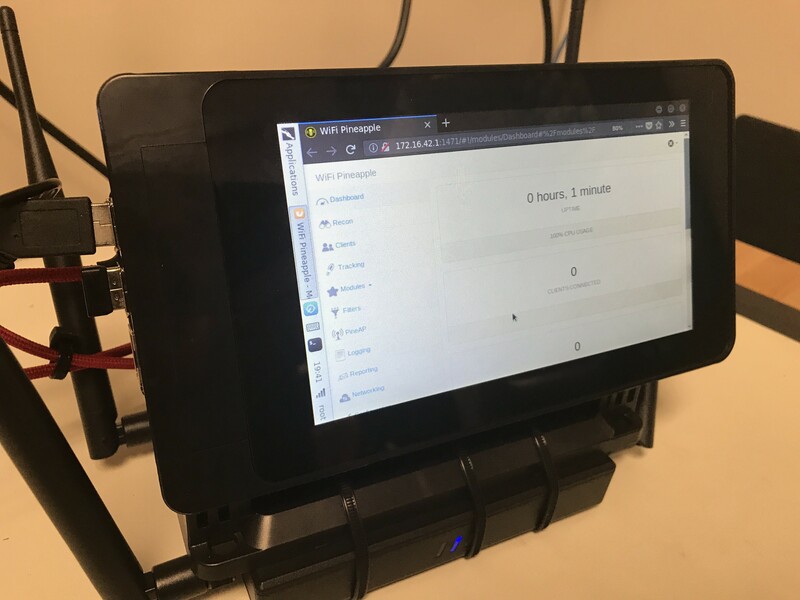 Many thanks to the Hak5 Team https://hak5.org for the Wifi Pineapple TETRA, Raspberry Pi Foundation https://www.raspberrypi.org for the Raspberry Pi, and Hackday https://hackday.io for hosting the images for this project.